How to transfer Spotify music to Apple Music? If we want import Spotify playlist to iTunes, we need remove DRM protection of Spotify music, then move converted Spotify music to iTunes. It's quick and easy of the process. We can get almost all high quality music in Spotify for free. But we can only enjoy Spotify playlist in Spotify player, because all Spotify music is protected by DRM, we need remove DRM protection of Spotify music and convert Spotify playlist to MP3, so that you can import converted Spotify playlist in format of MP3 to your iTunes music playlist. We always have the desire to move Spotify playlist to Apple Music, but we worry about the long time of the process and the quality of playlist. Even we don't know how to transfer Apple Music to Spotify, the guide is so difficult to operate. Everything goes on well if you turn to Eelphone Spotify music converter. Eelphone Spotify Music Converter is designed for Spotify music, we can remove DRM protection of Spotify music and convert Spotify music to MP3, M4A, M4B, AAC, WAV, FLAC those audio format suitable almost all mobile device and players. As for the converted music quality, it's original quality even after converting. 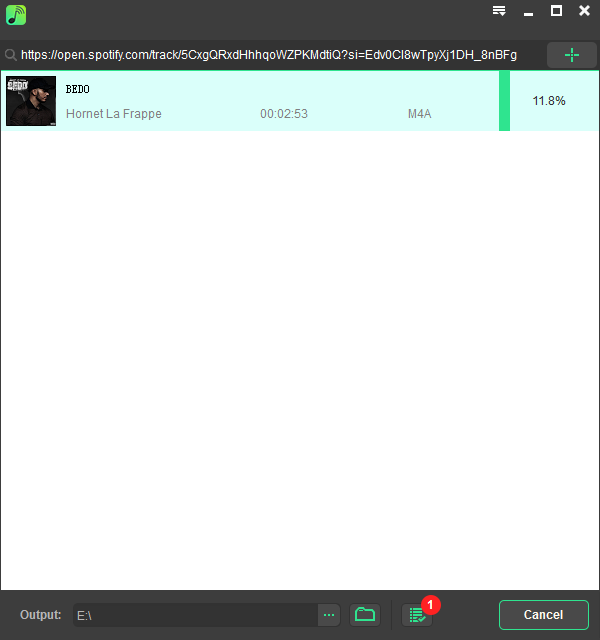 Step 1 : Free download Eelphone Spotify Music Converter in your Window or MAC. 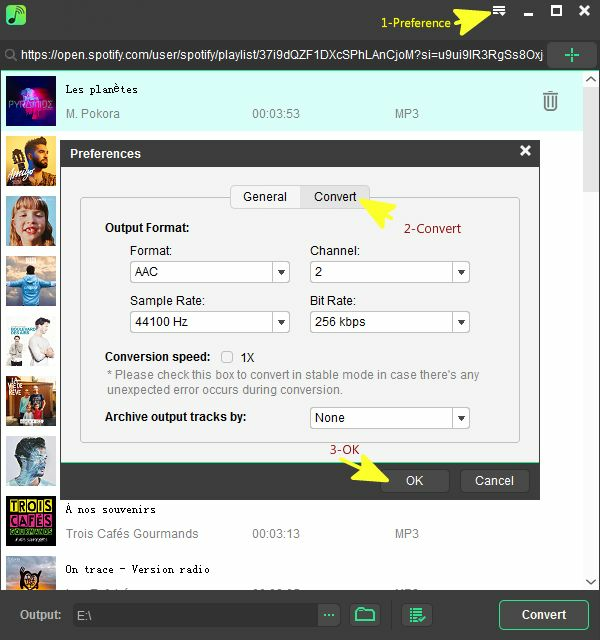 Step 2: Launch Spotify and Eelphone Spotify Music Converter at the same time, from Spotify, you need copy the Spotify playlist link from Share>Copy Playlist Link. 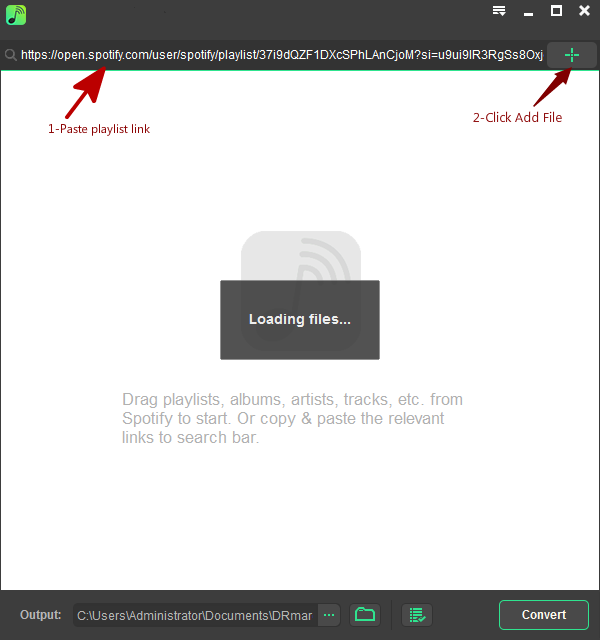 Step 3 : Paste the playlist link to the top search box of Eelphone Spotify Music Converter, it will load the playlist automatically. You can also drag Spotify playlist to Eelphone Spotify Music Converter directly. 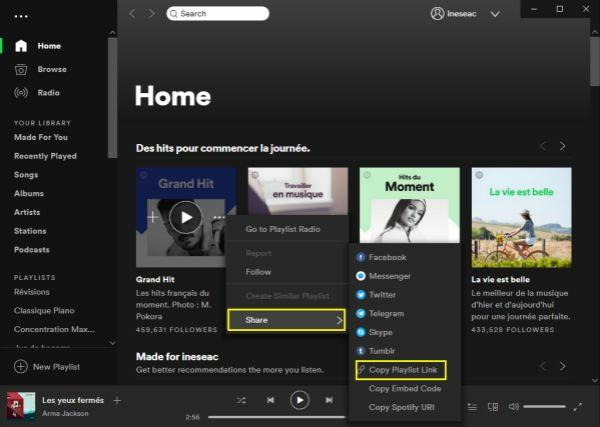 You can repeat the operation to get more Spotify playlist, so that you can convert Spotify music in mass. Step 4: Make the output settings, the output format, save path and the bite ride. Define one save path from where we can get the converted Spotify music easily. Step 5: Tap on Convert to start the process of convert Spotify music. The tool will convert Spotify playlist one by one, and all converted Spotify music is in Converted, and you can also get it from the save path, it's free to use your converted Spotify playlist. 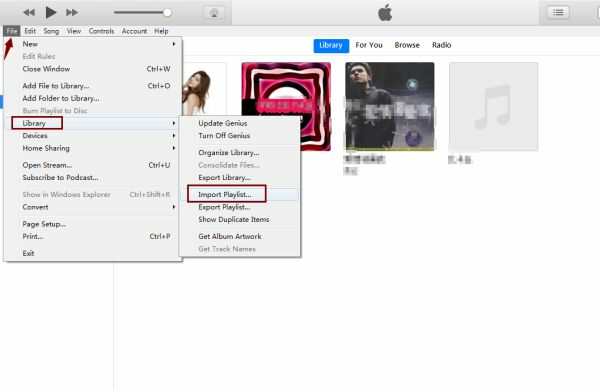 Step 6: Launch your iTunes now, click on File>Library>Import Playlist. You can import the whole folder of the save path of converted Spotify music. Just wait the download of Spotify music to iTunes. Right now, feel free to play Spotify playlist in your iTunes library, and no need pay more money for high quality music. In fact, same as the transmission of Spotify playlist to Apple Music, we can import Spotify playlist to your Android phone, just import converted Spotify music to Android phone and then you can play Spotify music in anytime and anywhere.